Come share in a relaxing and delightful morning while at the same time fundraising for a very worthy cause. Proudly raising funds for Breast Cancer Foundation NZ. 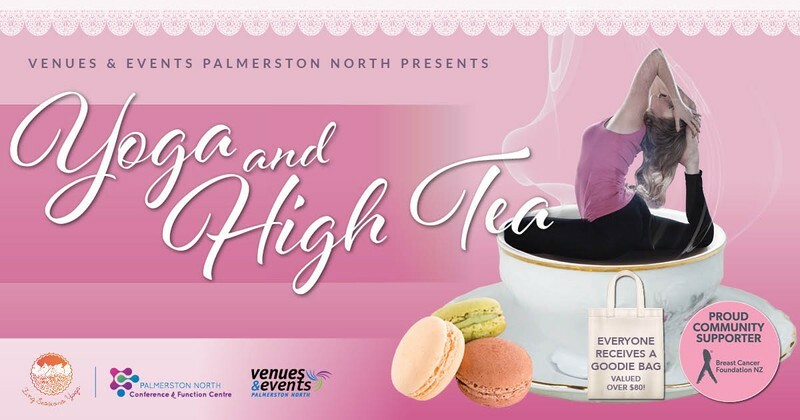 Our event will include the very talented and professional Chloe from Zing Yoga to instruct a beginner level yoga class followed by a scrumptious high tea. All proceeds will go to the New Zealand Breast Cancer Foundation. We will have collection buckets at the event also if you wish to bring your loose change. Everyone receives a Goodie Bag valued at over $80. The goodie bag is filled with amazing products from Whaiora, Herb Farm, RJ's Licorice, Zing Yoga, Zero Water, Essano, T leaf T and more.